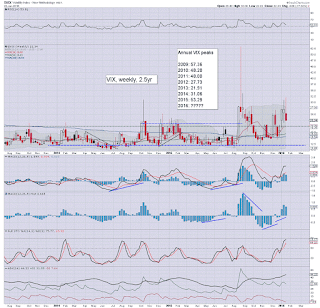 With equities closing very significantly higher, the VIX increased the rate of cooling, settling -16.3% @ 22.34. Near term outlook offers the sp'1970s, and that would likely equate to VIX 18/17s late next week. 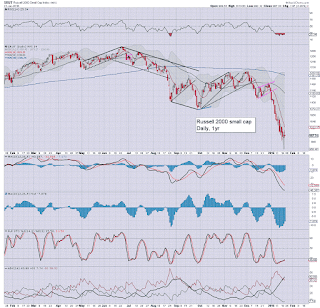 Sustained action in the mid/low teens looks unlikely, as the broader equity trend remains increasingly bearish. *net weekly decline of -17.3%. 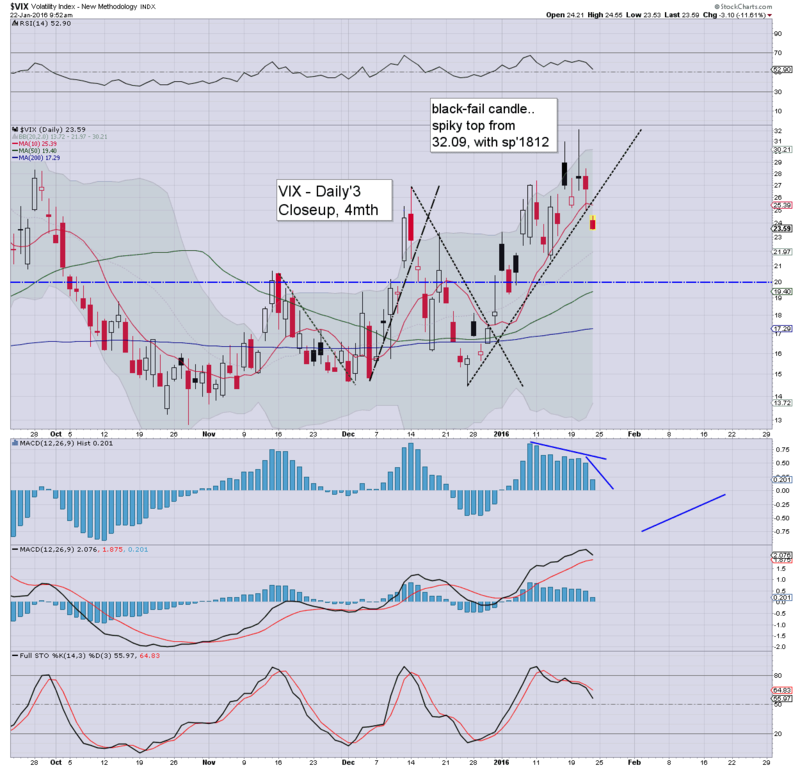 Suffice to add... equities look set to rally for at least another 3-4 days, and that will almost certainly equate to VIX back under the key 20 threshold. The only issue is whether the VIX floors in the upper teens.. or the mid teens. 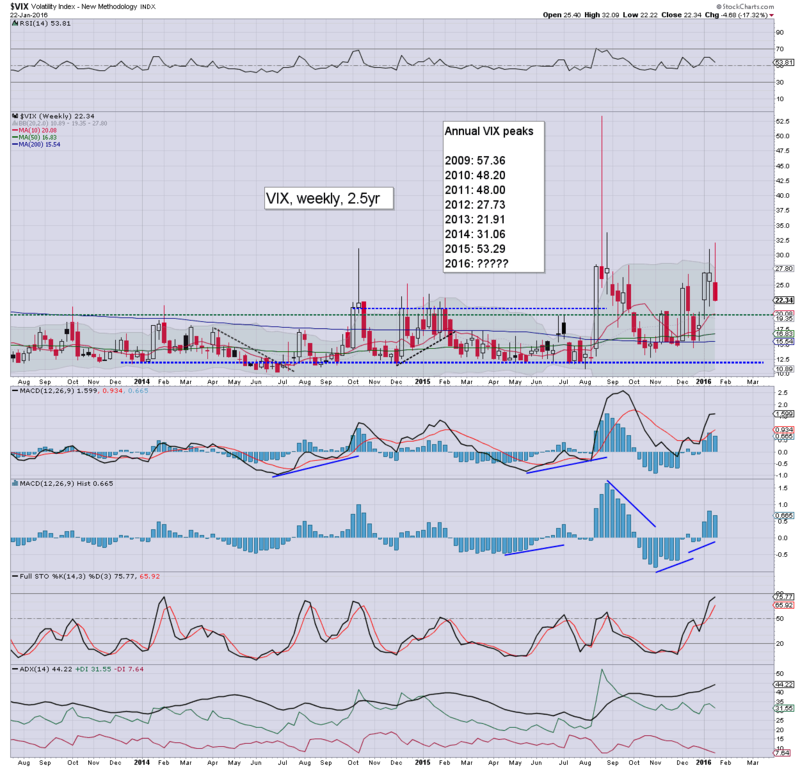 At some point in the weeks ahead.. VIX 40s look a given. 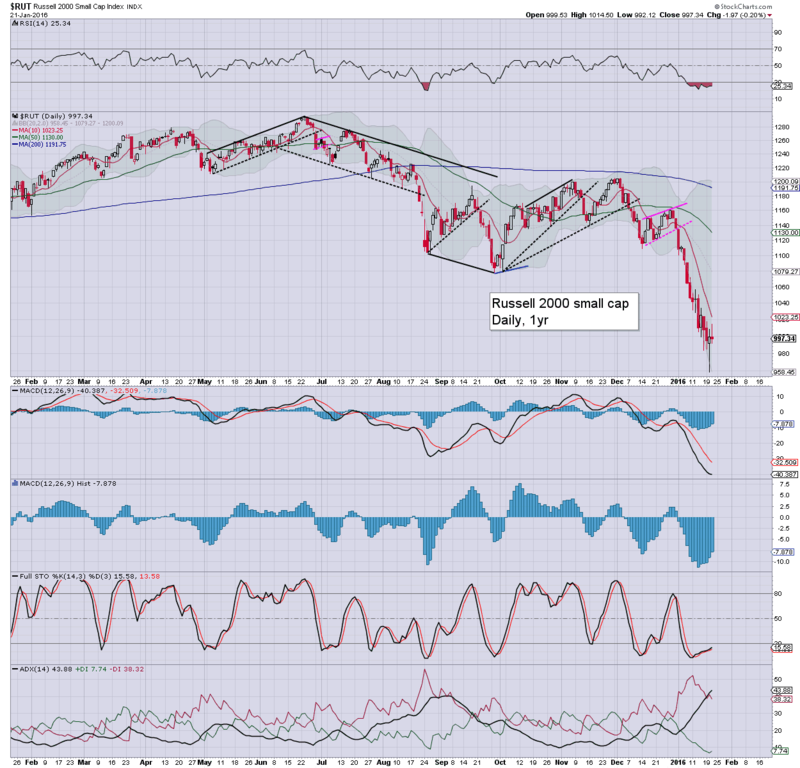 US equities ended the short week on a powerfully bullish note, sp +37pts @ 1906. The two leaders - Trans/R2K, settled higher by 1.3% and 2.3% respectively. Near term outlook offers threat of an opening Monday decline, but then climbing across much of next week, probably to the sp'1970s, with VIX 18/17s. closing hour action: mostly minor chop, with a touch of upside (short covering?) in the closing minutes. .. and that concludes the short 4 day week.... which sure has felt a lot longer. Suffice to add.. the hourly cycle is on the high side. 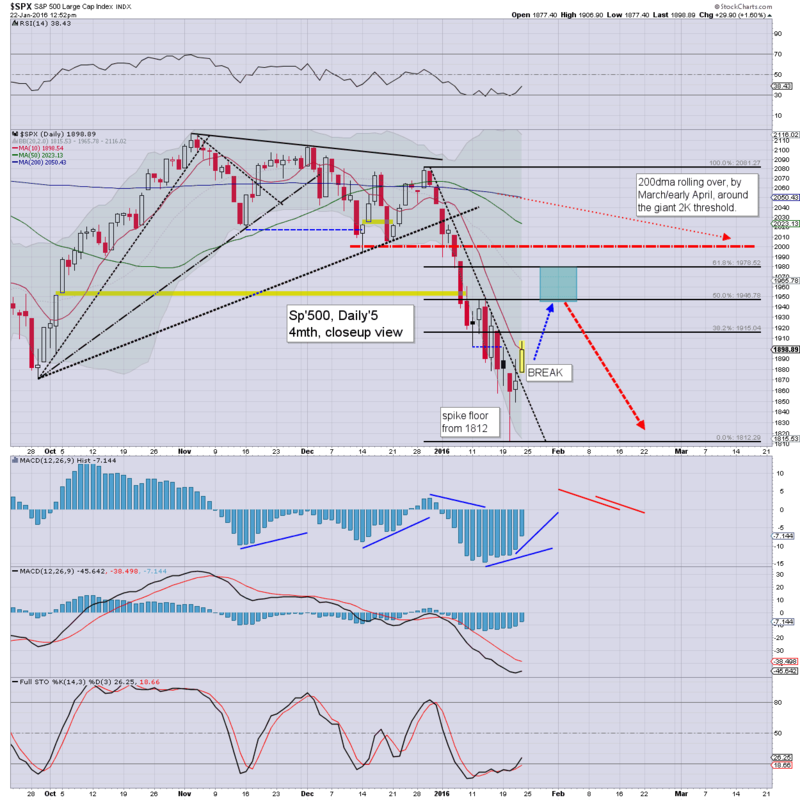 There is threat of a opening Monday gap lower, but from there, we should still battle upward. 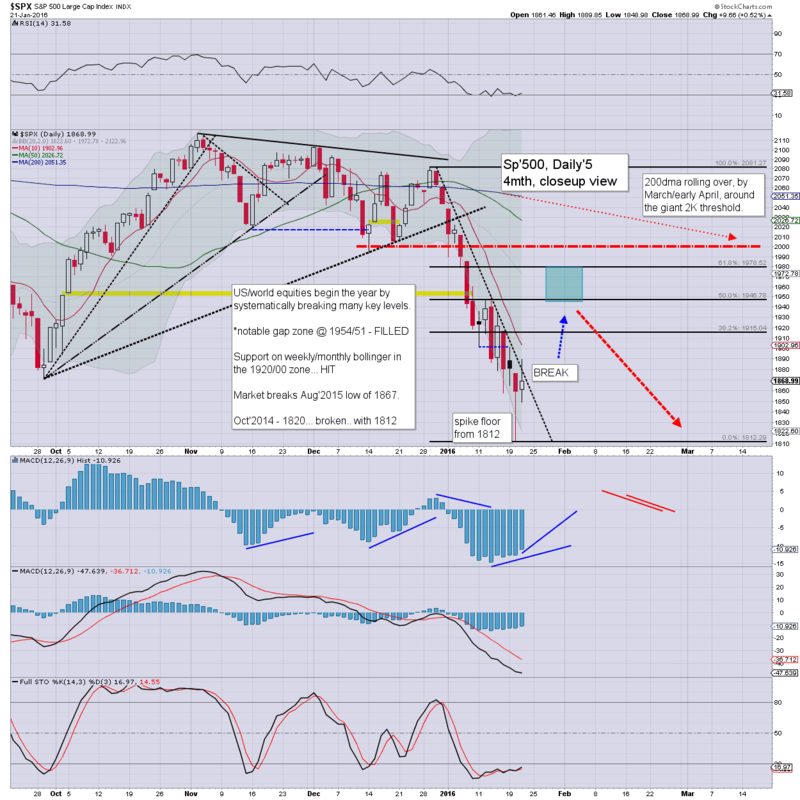 Prime bounce target are the sp'1970s.. with VIX 18/17s. 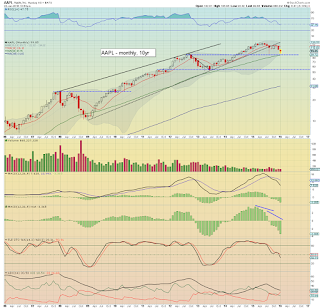 I find it difficult to envision sustained action >1980, as the monthly cycles are screaming bearish for February, and even more so... March/April. *the usual bits and pieces across the evening, to wrap up the week. US equities appear stuck around the sp'1900 threshold, and regardless of the exact close, it has been a pretty wild week, with the sp' breaking a new multi-year low of 1812, along with VIX 32s. Further equity upside is due across much of next week, with the FOMC press release likely to help. *there is a clear gap in the VIX, and they almost always get filled very quickly. 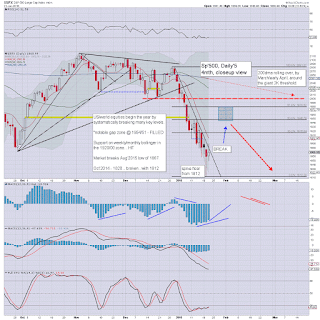 There is threat of equities opening lower on Monday, with VIX 25/26s.. before pushing upward. 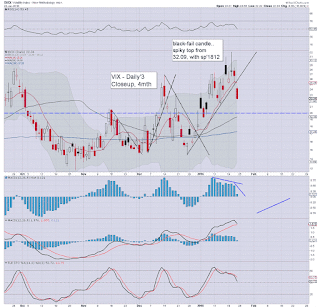 So.. Monday, look for an opening black-fail candle for the VIX in the gap ! Having ramped from 1812 to 1908 (4.8%) across just 15 trading hours or so, it could be expected to see some degree of selling into the weekly close, but current momentum remains swinging back toward the bulls. On balance.... we'll likely close where we currently are. Considering its been a short 4 day week.... it kinda feels like a 6 day week. 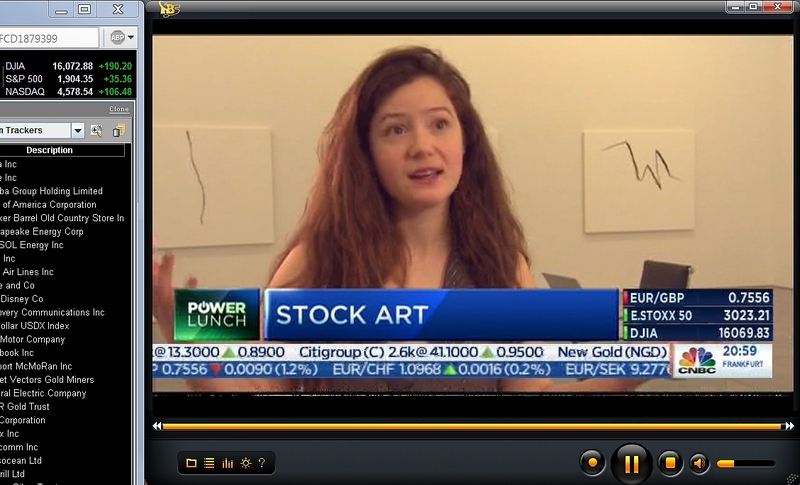 So.. she loses money on her trades, but hopes to gain back via sales from her 'art work'. I know how to draw lines. Anyone want to buy a chart for $150,000 ? If you want me to sign it.. thats an extra $10k. US equity indexes are holding very significant gains, with today being day'2.. or 3 (if you want to count Wednesday) from the short term low of sp'1812. Further upside looks highly probable to the sp'1970s, and that will equate to VIX back under the key 20 threshold. *VIX is really starting to cool, -14% in the 22s. We're set for a second consecutive net daily gain, with a likely weekly close above the sp'1900 threshold. For those with eyes on the bigger monthly cycles... the price action across the last few days is to be expected, but does nothing to where we are headed. notable weakness: TVIX -13% @ $9.50. 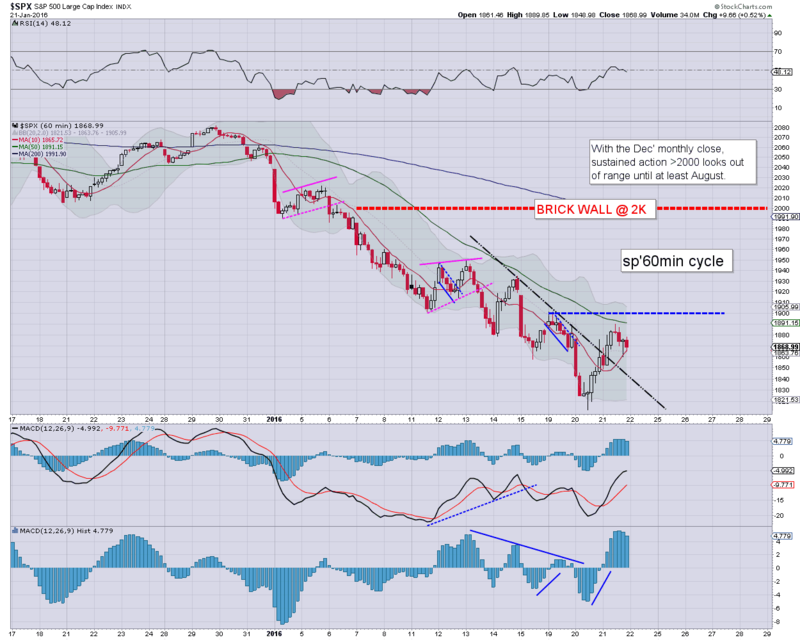 US equities continue to battle for a weekly close above the sp'1900 threshold. 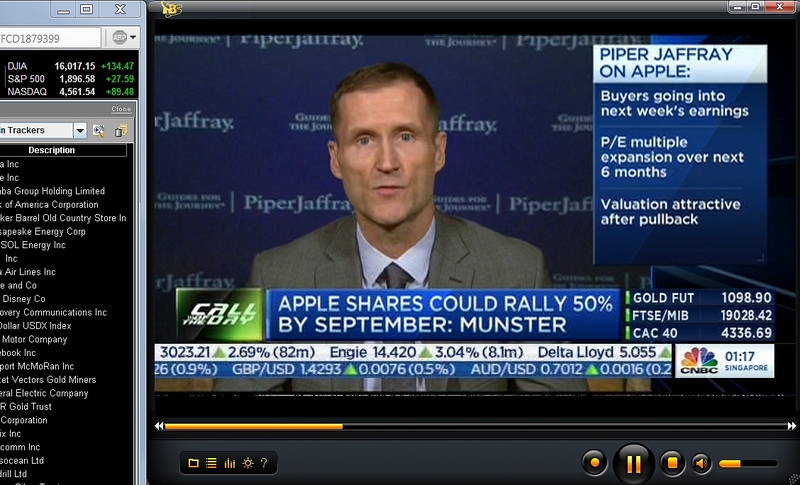 Meanwhile, on clown finance TV, there is further coverage of hyper-bullish targets for AAPL. It remains incredible that just 48hrs ago, most of the same people were on suicide watch. We're clearly going to close net higher today, the only issue is whether 1890s... or >1900. Frankly, it makes no difference for those with eyes on the bigger picture. 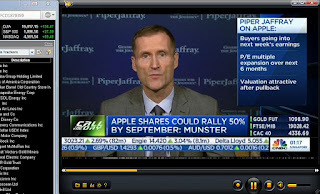 Munster of 'Piper Jaffray' touting AAPL 140/150$ by September. I've seen some crazy calls on clown finance TV across the last few years, but that is one of the top 3 in the league of crazy. 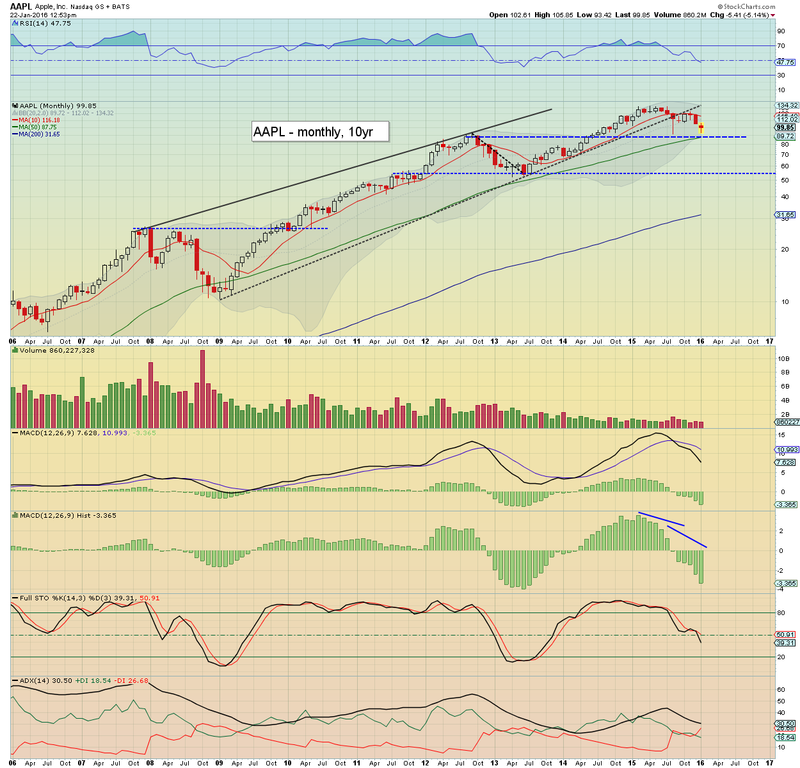 Will they drag that guy on in a few months if AAPL is in the 80/70s? 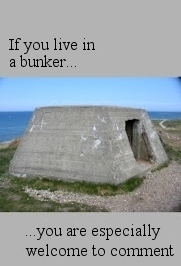 Or will he be hiding in a cupboard somewhere? US equities are holding significant gains, and the only issue for today is whether the weekly close is a little above or below, the sp'1900 threshold. 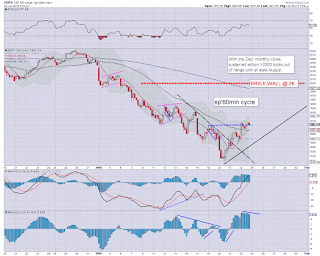 Regardless of the exact close, further equity gains look due across much of next week. Bounce target is the sp'1970s, with VIX 18s. As things are, we're set for at least a moderate net weekly gain, and somewhat understandably, many are now touting a major rally. Ironically, having already battled from 1812 to 1906, half of the rally/bounce has already occurred. The monthly cycles remain absolutely clear.... price momentum is increasingly bearish, we're headed much lower in the weeks and months ahead. Selling has been fenced off.... for now. After a torrential rainstorm... a front has abruptly cleared just in time to give a perfect sunset. US equities have climbed almost 5% higher since the Wednesday low of sp'1812. 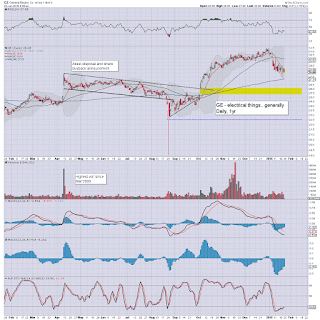 Further upside to the 1970s looks probable, not least if Yellen issues some Draghiesque threats of 'no limits'. Nothing has changed in the bigger picture, but for now.. the bears should clearly be on the sidelines. 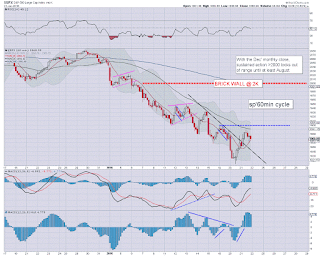 Daily equity/VIX MACD (blue bar histogram) cycles are now swinging powerfully back in favour of the equity bulls. Next week looks set for further strong gains. 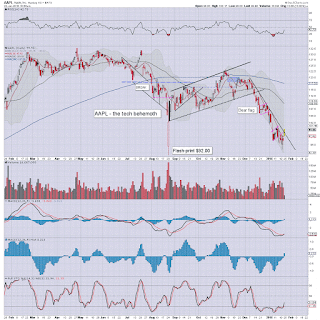 1940s look an easy target.... 1970s should be hit though, as Yellen is likely to want to placate the market. A clear break of the downward trend from December. Headed for the 105/107 zone. 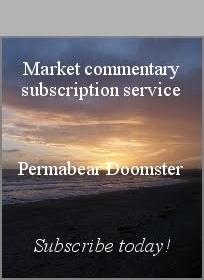 US equities open sharply higher, as there is a veritable abundance of bullish hysteria. We have the Cramer on clown finance TV touting 'a global QE initiative within 72 hours'. Yeah... more printing will resolve the Oil over-supply issue, right? Even lower rates will resolve the underlying macro economic problems, yes? *PMI manu' 52.7.. a little better than expected, but this is nothing for the econ-bulls to be pleased about. 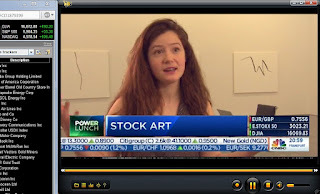 With equities making a play for a weekly close above the sp'1900 threshold, not surprisingly, the hysteria on clown finance TV is pretty wild this morning. 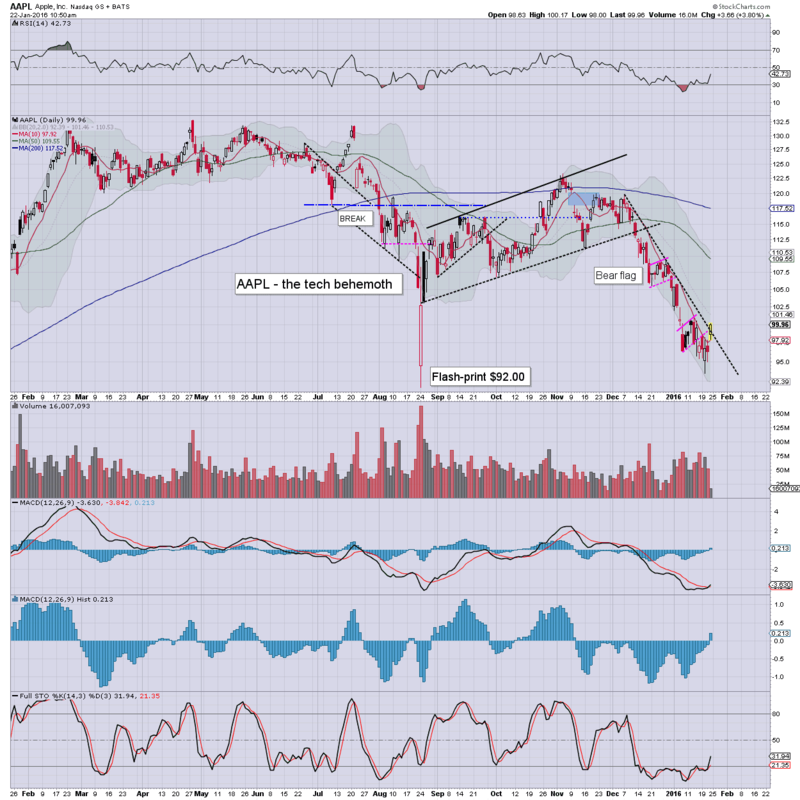 There is talk of AAPL going straight to $150. After all, the recent low of $93 is a key mid term low, yes? Crazy day.. and its only 10am. Earnings miss, with GE being hit by lower orders from the Oil/gas industry. 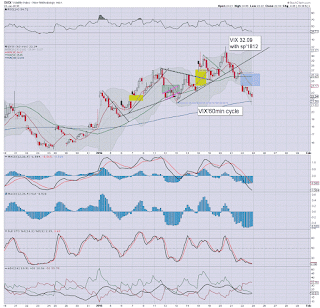 Energy sector capitulation has not happened yet... and GE looks headed for the 22/19 zone by early summer. Good morning. US equity futures are significantly higher, sp +28pts, we're set to open at 1896. 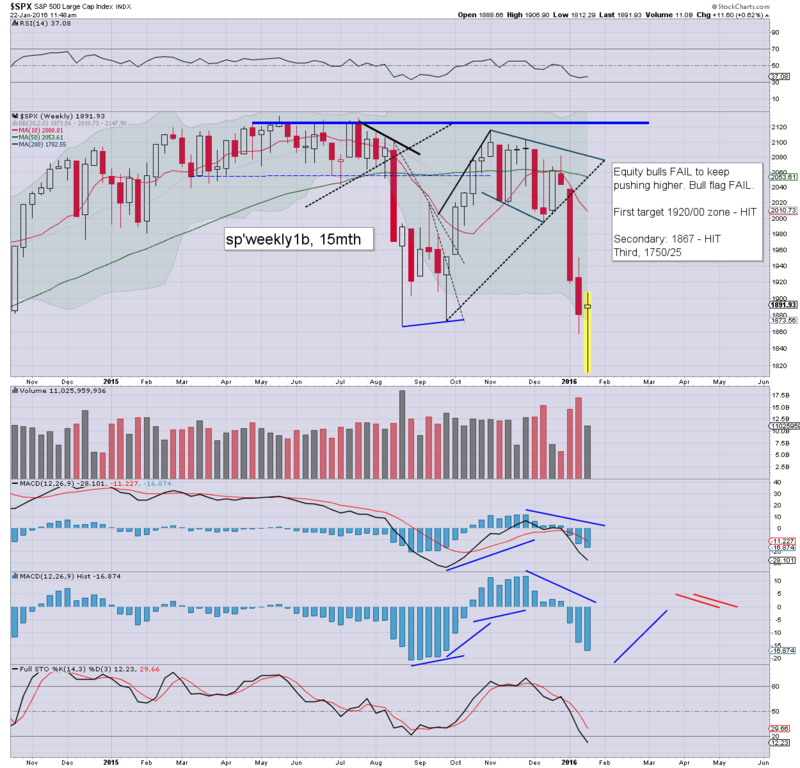 A weekly close around the 1900 threshold looks probable. Metals are losing their fear bid, Gold -$5. Oil continues to bounce, +4.7% in the $31s. Well, it seems we have 100% clarification that sp'1812 is a short term floor... same for Oil. Now its a case of how high do we bounce.. and how long will it take. Best guess: 1970s.... with a target of next Thursday afternoon. I expect GDP Q4 (due Fri' Jan 27th) to upset the market, and if we're trading around 1970 next Thursday, I'll probable short into end month. A wild spring is ahead! TVIX -9.9% @ $9.90, the 7s look probable by late next week. As Oscar notes.. this is a short term bounce. I find it disappointing he doesn't at least throw out a broader downside target (does he do that in the chat room sometimes?)... but I'd imagine he is looking for at least the 1600s.. as I am. *I'm aware a few are seeking 1200/1000 zone by October, but I'll hold to my original outlook. 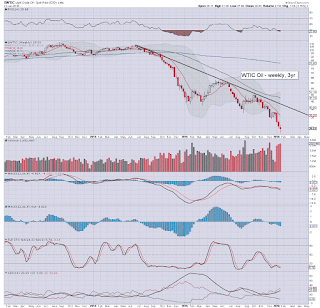 Having fallen from sp'2081 to 1812.. along with WTIC Oil imploding from the $38s to the $27s, it would seem its a case of bearish exhaustion. A short term floor appears in, with the market set to battle upward into February. Any bounce though.. is just that.. a bounce. Mid term targets remain unchanged. 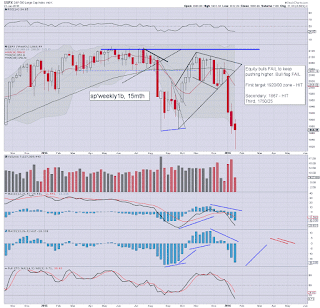 re: sp'500: its possible equities will see a moderate net weekly gain, but regardless, it would seem 1812 is a short term low. 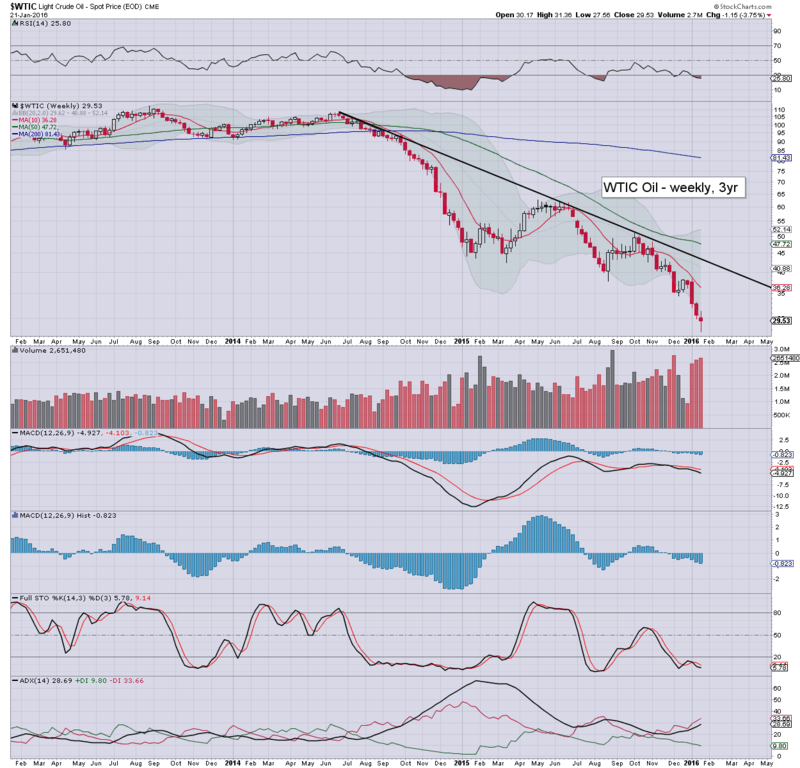 re: WTIC oil. Oil looks to have a short term floor of $27.56, and looks set to break/hold the $30 threshold. From there, the $35 threshold. The underlying issue of over-supply remains COMPLETELY unresolved. 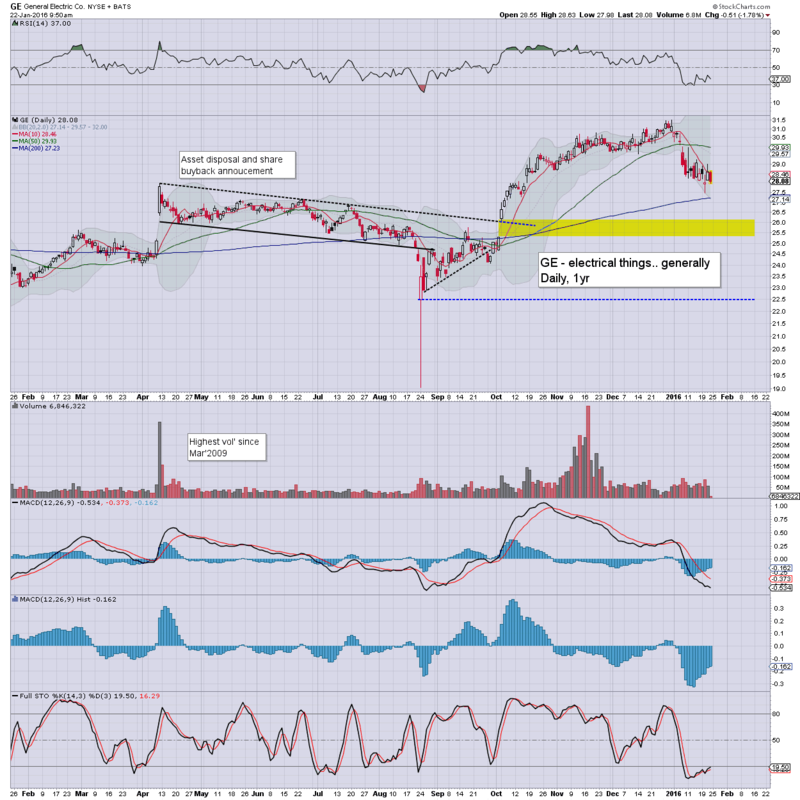 Renewed weakness looks due.. probably to the teens, before there is adequate industry capitulation. .. and the same issue applies to the (often overlooked) mining industry. Friday will see PMI manu', existing home sales, and leading indicators. US equity indexes closed moderately mixed, sp +9pts at 1868 (intra range 1889/48). The two leaders - Trans/R2K, settled +1.0% and -0.2% respectively. 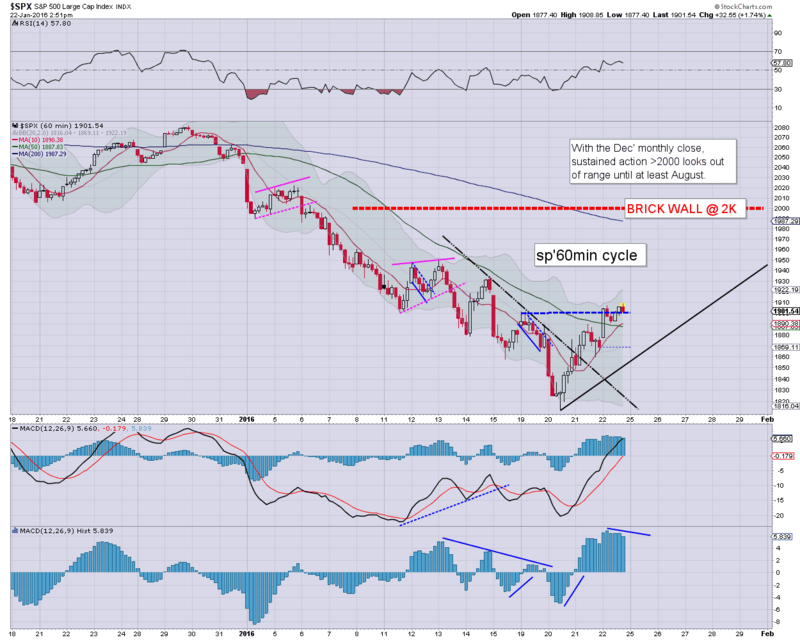 Near term outlook is bullish, as the sp'1812 low looks set to hold for some weeks. 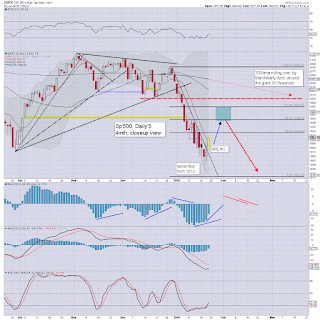 Regardless of a bounce into February, the broader downside target remains unchanged. Suffice to add, it was a bit of messy day in equity land. Opening moderately higher (post ECB/Draghi), but then quickly cooling to sp'1848. With Oil then rebounding - despite another 4 million barrel net inventory gain, the market was dragged higher. It would seem the sp'500 is headed for the 1940/70 zone. Sustained action >2K looks out of range, relative to the increasing downward momentum as seen on the giant monthly cycles.